It's not easy being a teen...witch, that is! 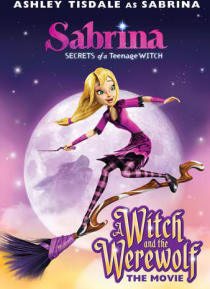 Sabrina (Ashley Tisdale), everyone's favorite half-human, half- witch, is back in a magical movie adventure filled with spells, excitement and tons of fun. When a magic jacket turnes Sabrina's friend Harvey into an uncontrollable werewolf, Sabrina's off on a wild chase between the human and witch worlds to stop his rampage. Join Sabrina on her bewitchin… g escapade to find a cure and save the day!